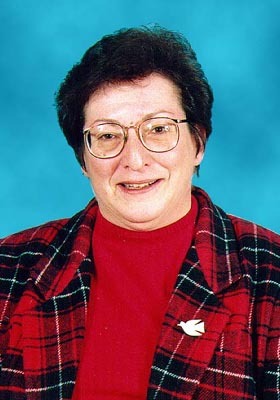 Chazan, her voice raspy from lack of sleep but brutally coherent in her analysis, told conference call members that, “the peace camp of Labor and Meretz, which combined received only 15% of the vote, is in shambles.” Expressing disappointment but not defeat, Chazan importuned her listeners to both focus beneath Israeli politics to “grass roots activism,” as well as to look beyond Israel politics - to the “imposition of international pressure” - in order to move the country towards an Arab-Israeli peace settlement. The actual structure of the incoming Israeli government remains in flux, as the leading parties seek to achieve majority blocs by enticing second tier vote getters into their coalitions. But the results for the left were appalling. Although at 28 Kadima eked out the first place showing, Likud surged from its prior mandate of 12 to garner 27 mandates. Yisrael Beiteynu (Israel Our Home) increased from its pre-election mandate of 11 seats, to 15 seats. In contrast, Labor went from 15 mandates to only 13. Meretz fell from its highest ever showing of 12 in its inaugural year, 1992, to its current basement-showing of three. It was clear that the left-wing parties, i.e. those including and to the left of Tzipi Livni’s Kadima, were not going to have much clout in the new government. By most estimates, parties from Kadima through the furthest left end of the spectrum ended up with 55 mandates, while the right-wing bloc has 65 mandates out of a total of 120 seats. Rejecting the hope of some that Kadima might be able to cobble together at least a centrist government with Livni at the helm, Chazan repeatedly told her listeners this was not going to happen and that Netanyahu would lead the next government. Though Israeli President Shimon Peres is supposed to name the highest vote gatherer as the head of the new government, he is also bound to assign it to the candidate most likely to successfully form a coalition. All signs point to Netanyahu’s Likud. Chazan had harsh words for the results brought on by the merger of Meretz with the “New Movement” party, chiding the latter party’s leaders for not having proven themselves. She specifically named world famous Israeli author and peace supporter Amos Oz and Israeli author David Grossman for what she called their “support of Israel’s right to defend” itself. She also bemoaned the fact that some members of pre-merger Meretz – but not herself – also initially supported Israel’s response to Gaza’s attacks, although all sought a quick end to the war. That failure to adhere to the party line, according to Chazan, cost Meretz support. In addition to those Israeli Jews on the left who either sat out the election because they were disgusted by the vacillations of the previously reliable peace parties, “Meretz lost half of its potential mandates” because Livni “tried to seduce those on the left” to vote for Kadima as a means to “topple Netanyahu.” It appears Chazan got this right. Meretz did poorly in areas thought to be its natural strongholds – Tel Aviv-Jaffa (8%), Haifa (3%), and those areas with the highest concentrations of non-Jews, where the Arab parties garnered most of the votes. In its best showing, on the kibbutzim, Meretz received only 18% of the vote, compared to 31% each for Kadima and Labor. Meretz was battered from the right (Likud and Yisrael Beiteinu), from the center (Kadima) and from the left (the Arab and the Green parties). Chazan’s greatest opprobrium was directed at the surprisingly strong showing of Avigdor Lieberman’s Yisrael Beiteinu party. Calling Lieberman a fascist and comparing him to Meir Kahane, she characterized his party’s platform of “no loyalty, no citizenship” and transfer of populations as “sheer and utter racism.” Those positions, she said, “were unacceptable twenty years ago,” but they now appear to have “entered the mainstream.” In part to combat this sea change and in part because it made statistical sense, Chazan urged Meretz and others on the left to join forces with the Arab parties. So what advice does Chazan give to the “peace camp”? Saying that the likely right wing government was a “non-starter” for the peace process, she called for far greater involvement both by the US and the rest of the international community to impose international solutions to the Middle East impasse. “A permanent settlement of the conflict,” Chazan said, “must be designed and imposed by the outside.” Chazan’s mantra has always been to extend democracy to all. But in order to achieve the goals of her party she is now imploring the international community to disenfranchise Israeli voters and impose its own - and her - wishes.